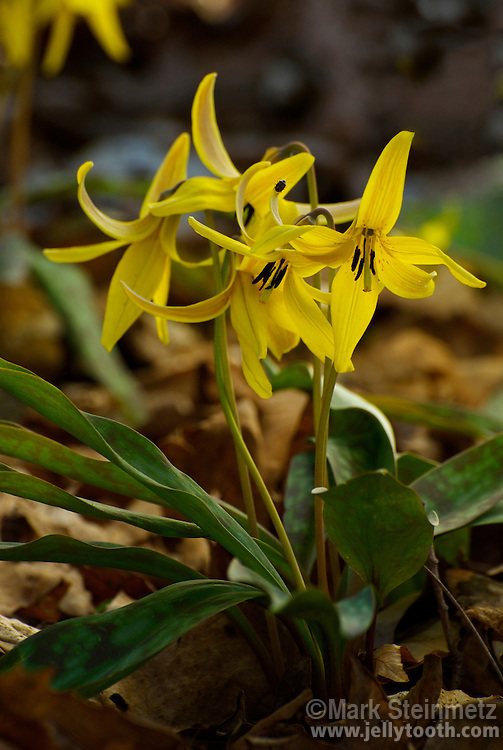 Trout Lily (Erythronium americanum), a wide ranging spring ephemeral woodland wildlflower native to eastern North America. Known by many other common names--such as Adder's Toungue and Yellow Fawn Lily-- often in reference to the resemblance of the mottled leaves to a fawn or brook trout. Ohio, USA.